The winter holiday is a great time to think of those who are close to you. 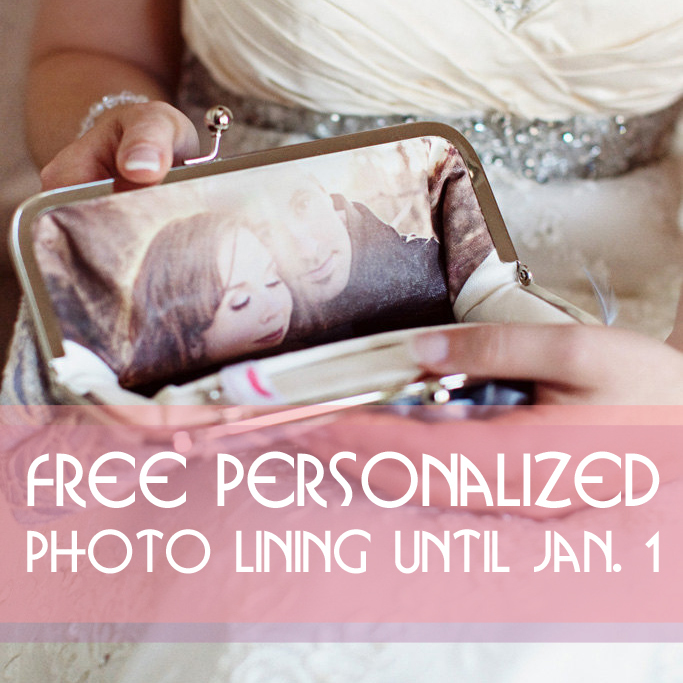 That’s why for this holiday season, we are offering free personalized photo lining for all clutch bags purchased through our Etsy shop between December 19 and January 1, 2012! Featured on major bridal websites and blogs such as Emmaline Bride, Southern Weddings, and Style Me Pretty, the personalized photo lining service will integrate your treasured photograph into your bridal attire. 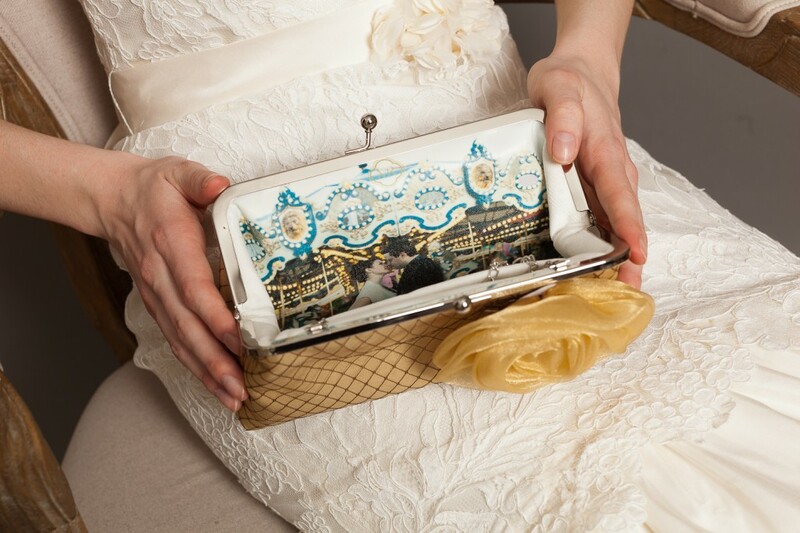 Whether it’s the photo of your pet, a photo from your first date with your fiance, or a sweet moment captured at an engagement photo shoot, the photo will liven up and perform its magic every time you open your clutch bag. For this offer, all clutches will be shipped on or after January 7, 2012. We will contact each customer for a photo and will provide a tracking number once the package is shipped. Shipping will take from 10-15 days to deliver to most cities around the world. For this promotion, time is the only limitation. This offer also applies to our set of 5 clutches bridal party offer! These can be fabulous one-of-a-kind gifts to your bridal party and to your closest girl friends. For more details, visit this photo lining listing. During the holidays, we will be checking our e-mails from time to time, feel free to contact us (info (at) angee dot com) or send us a message on Etsy if you have questions before ordering. On this note, happy shooting, happy shopping, and happy holidays! Unless mentioned, all photos on this post were captured by a wonderful Canadian photographer based in Ottawo Melanie Rebane. http://melanierebanephotography.com. We hope these gorgeous photos will inspire you on choosing your bridal attire! 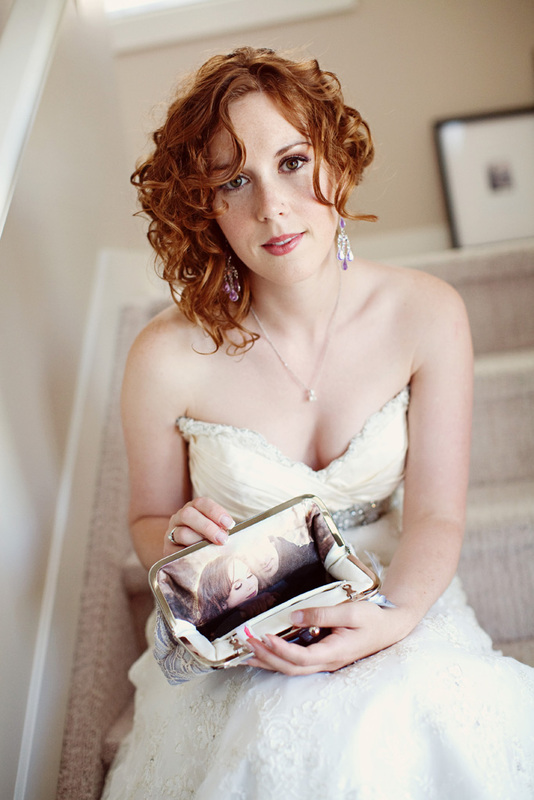 Bride with Ivory Quatrefoil Lace Clutch and Sparkle-licious Crystal Brooch. ANGEE W. photo lined clutch bag.